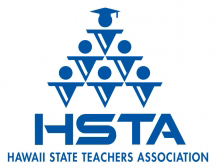 United in the pursuit of excellence for Hawaii’s public schools, HSTA’s mission is to support and enhance the professional roles of teachers; advocate teachers’ interests; collaborate with all segments of the community to assure quality public education for Hawaii’s youth; and promote human and civil rights to support and nurture diversity in our multifaceted community. We have an opening for the UniServ Director position located on the island of Oahu and are seeking a strong teacher advocate who has organization and membership development skills to provide training, organizing, and grievance processing services to State of Hawaii Department of Education K-12 teachers. Applicant must be a self-starter and have the ability to relate to people with diverse cultural backgrounds. In this position, we are seeking a professional with an understanding of the operations of a labor union, and direct experience in union organizing and program coordination to support the Association’s goals. The position requires a person who is articulate, a risk taker, organized and a believer in due process. Starting salary is $69,550. Baccalaureate degree required, and will substitute substantial experience in comparable work. Some travel is required. Experience in collective bargaining and organizing is desirable. If you are interested, you are encouraged to apply online by April 30, 2019. HSTA is an equal opportunity employer; women and minorities encouraged to apply.